I teach my students the zero property by telling them zero is the BOSS. 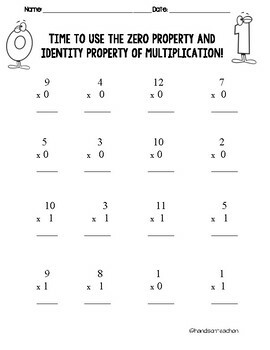 When he is present in a multiplication problem, he is in charge! 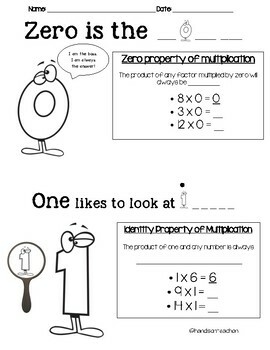 When I teach the identity property, I tell them one likes to look at itself. He reflects what he sees. For example, when he sees a 14, he shows a 14. 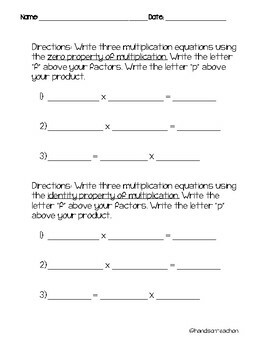 There are practice problems and build your own practice problems.